← Peanut Costs Are Soaring So Stock Up Now! One thing my daughter loves to do at home is make crafts. All week long she tries to recycle EVERYTHING to add to her craft supply. God-forbid I accidentally try to toss away an old yogurt cup or brown paper bag. Now, I am all for recycling, but when my daughter tried to save the plastic piece that peels off of a fresh gallon of milk… enough is enough! “How about we try a craft with items we already have?” Since her favorite food is pasta with butter and parmesan cheese (isn’t most kids? 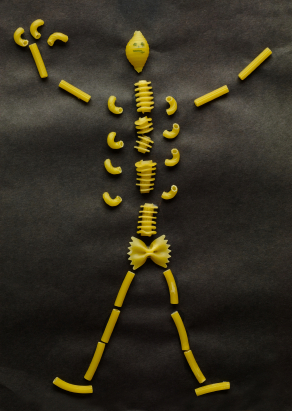 )… I know we have several types of open pastas, so why not go back to those good ol’ pasta crafts! Perfect for the family with multiple boxes of different types of pastas open at any given time! Hope you have fun with this Halloween craft. And don’t forget to recycle that empty pasta box when you’re done! This entry was posted in Halloween crafts, pasta and tagged BuyTheCase.net, crafts, Halloween, pasta, recycle, savings. Bookmark the permalink. Regards for sharing Halloween Crafts | BuyTheCase's Blog with us keep update bro love your article about Halloween Crafts | BuyTheCase's Blog .